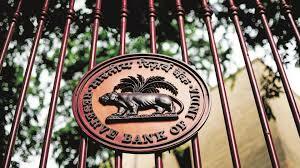 PUNE: The Reserve Bank of India Deputy Governor, N S Vishwanathan, said there appears to be a herd movement among bankers to grow retail credit and the personal loan segment in view of the problem-riddled corporate loan book. He cautioned that there are risks in this segment too. “This is not a risk-free segment and banks should not see it as the grand panacea for their problem-riddled corporate loan book. There are risks here too that should be properly assessed, priced and mitigated,” said Vishwanathan in his speech titled ‘It is not business as usual for lenders and borrowers’ at the 14th convocation of the National Institute of Bank Management in Pune. As per latest RBI data, personal loans, including housing, vehicle, consumer durables, and credit cards, increased by 20.4 per cent in February 2018 compared with an increase of 12 per cent in February 2017. Credit to industry, micro & small, medium and large, nudged up only 1 per cent in February 2018 compared with a contraction of 5.2 per cent in February 2017. Banks have piled into the retail segment as delinquency is much lower vis-a-vis the corporate segment. For example, according to RBI’s financial stability report, the gross non-performing advances (GNPAs) ratio for housing finance assets remained flat at 1.55 per cent in September 2017. “The retail housing segment does not appear to pose any significant systemic risks in the Indian context at present,” the report said. The GNPA ratio of scheduled commercial banks (SCBs) due to large borrowers increased from 14.6 per cent to 15.5 per cent between March and September 2017. A large borrower is defined as a borrower that has aggregate fund-based and non-fund based exposure of Rs 5 crore and more for the SCBs.